On Monday, July 13, 2015, Chicago Public Schools (CPS) released preliminary spending plans for the 2015-2016 school year. Many schools face significant budget cups. 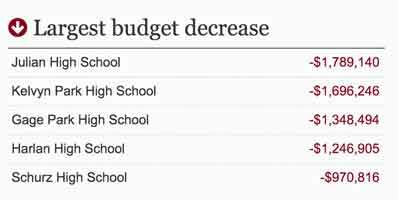 We made a simple [news app to let users explore how different school budgets changed](http://apps.chicagotribune.com/news/local/cps_school_budgets/).